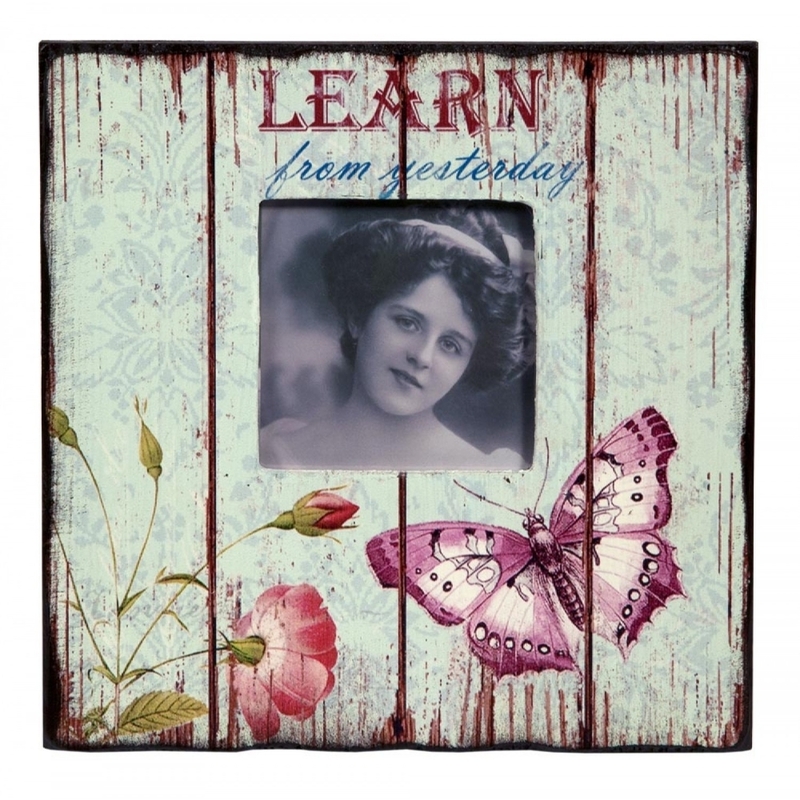 This is a vintage style photo frame with the distressed wood panels. There are beautiful flowers and butterflies on the frame. Additionally this would be the perfect frame for a picture of a loved one.